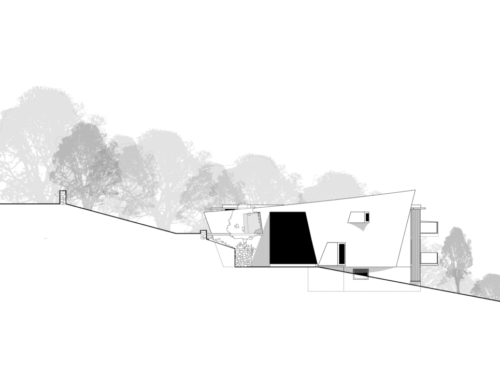 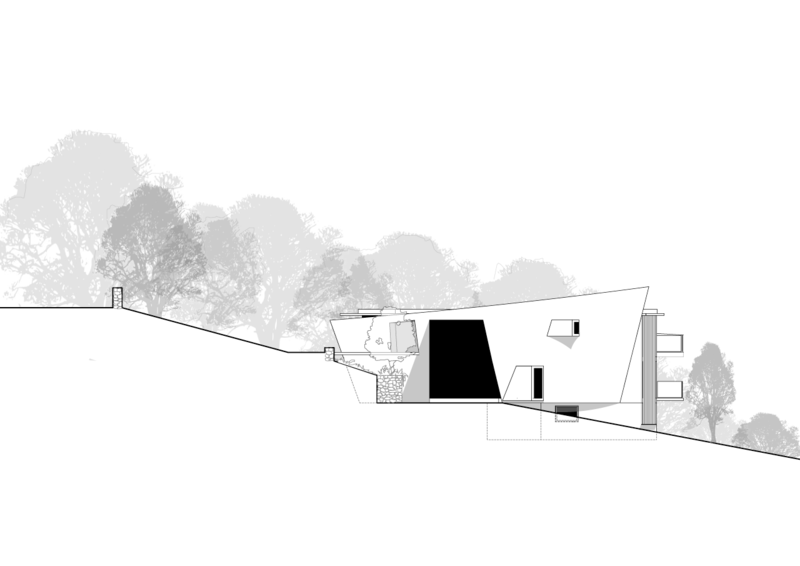 Use of steep sloping sites. 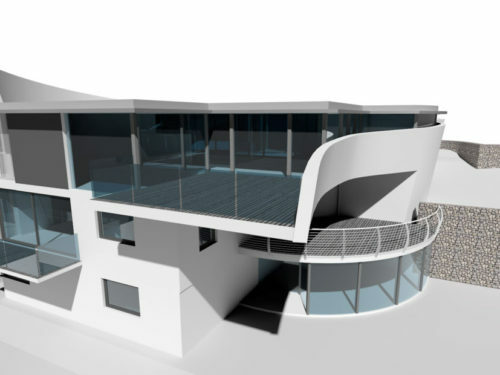 A curved ribbon wall affords privacy on the front elevation and spectacular views over a valley park are enjoyed on the rear elevation, all within walking distance of the city centre. 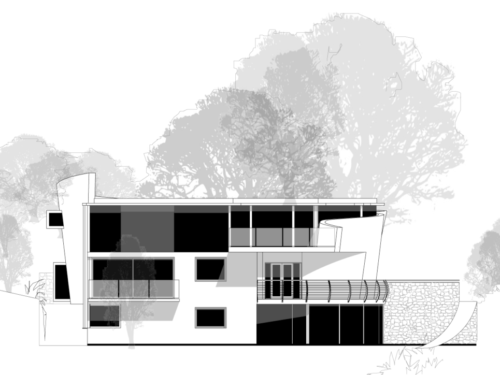 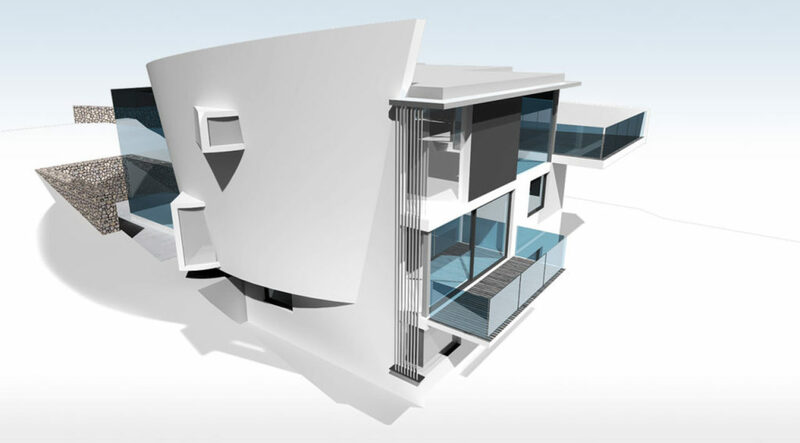 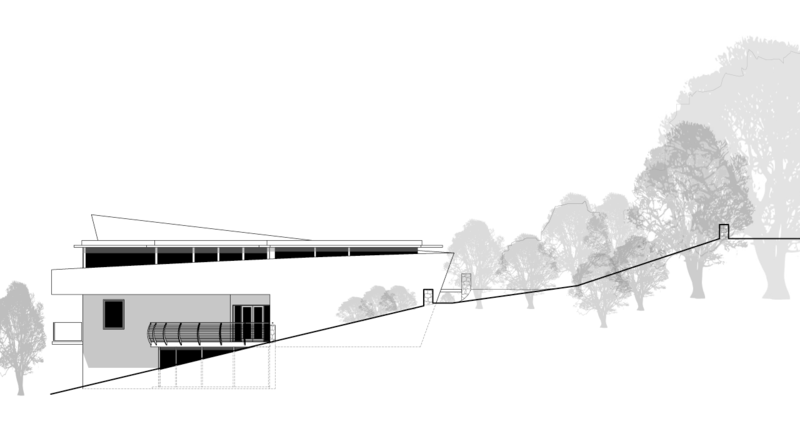 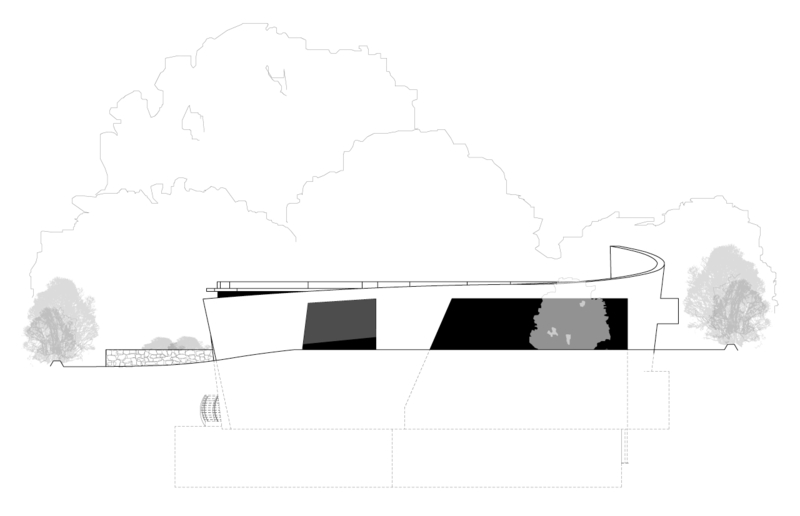 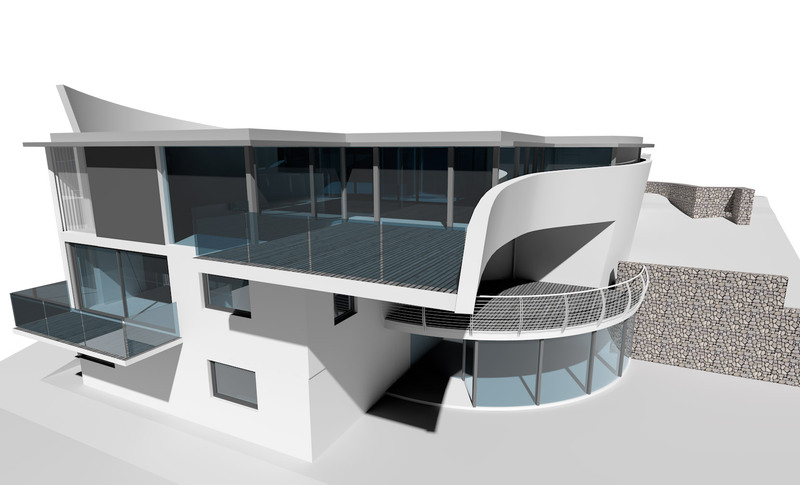 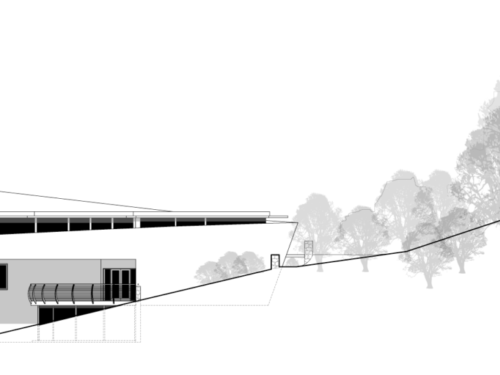 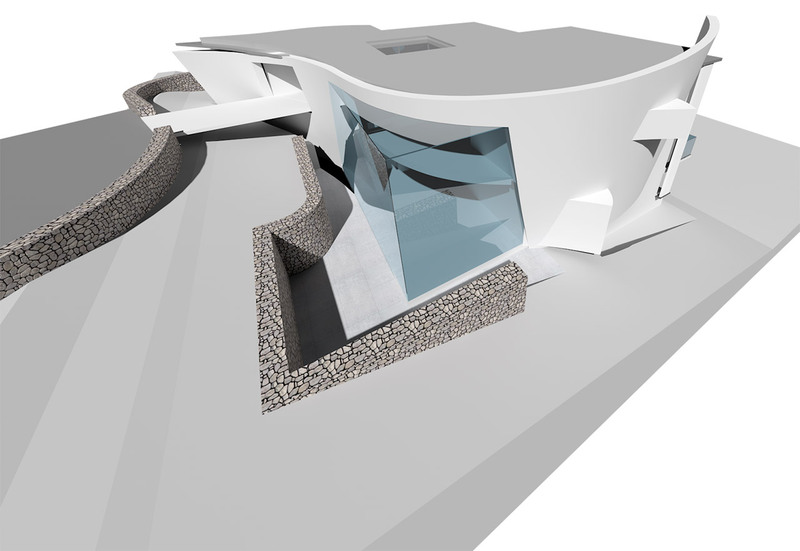 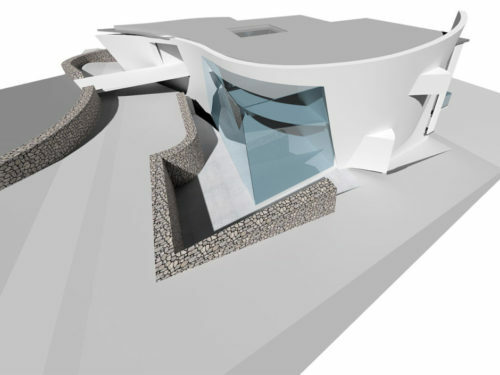 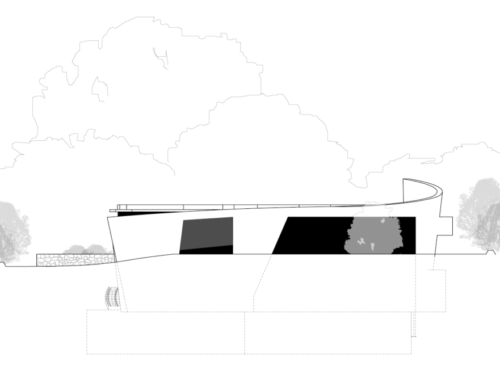 The design has the constraints of an extremely steep sloping site as features in the building. 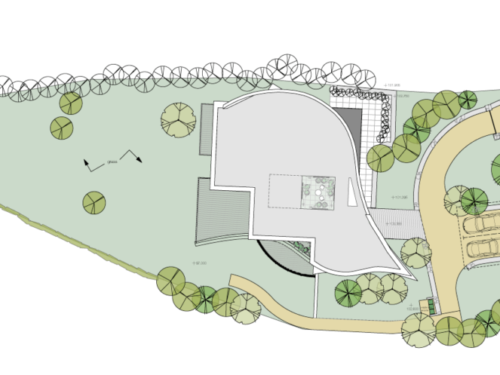 A bridged entrance, internal garden and conservatory stairway are just a few of the unusual features that this design possesses.